Choose your destination. Light up. Let your voyage begin! Great Lakes Cigar Company specializes in making small batch cigars, using the finest tobaccos available, and using techniques developed by Owner, Darrin Hildebrand. Hand bunching, instead of bunching machines. Using wrapper grade for binder to enhance the flavor. Tapering the strong filler, ligero, on both ends, so the blends gradually start together and grow, then naturally mellows out at the end so there is no bitter or nasty taste. This allows you to smoke all the way to the very end. You may have never sighted a cigar like this, but it does exist! Its power and richness will make you a believer! Come aboard and experience a Maduro like no other. The chocolate notes will capture you. For the complex body and light sweet spice, you would gladly walk the plank! Sometimes things are not what they seem. This is unlike any Connecticut wrapped cigar you have ever smoked! Let your palate take an uncharted voyage. You may never return! Made with AJ fernandez in San Latano factory in Nicaragua. 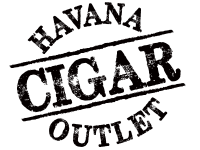 Currently Great Lakes Cigars can only be purchased at The Havana Cigar Outlet in Norwalk, Ohio. I am an Ohio native. 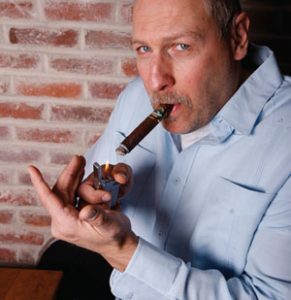 I owned and operated a cigar shop for a decade in Sandusky, Ohio. During this time, my passion grew for every aspect of the industry, from growing the tobacco to the burn of a fine rolled, fresh cigar. The cigar shop slowly converted to where it was most of my own blends. The demand for my product was great so I made the decision to start my own cigar line, Great Lakes Cigars. I now live in Milan, Ohio where my distribution center and my rolling table reside.